Unique to the exclusive island of Saint Lucian, the two mountainous volcanic plugs of the Pitons has won the heart, dreams, and daydreams of many. The Pitons are a UNESCO World Heritage Site, which is no shock to me as the landscape is iconic, boasting in beauty covered with an abundance of vegetation and a cooling rainforest. It is a stunning and breathtaking beauty and the heart and soul of Soufriere–there is no other place in the world like it! These two mountainous volcanic plugs are known as the Gros Piton and Petit Piton, linked by the Piton Mitan Ridge visually appearing to be going on for miles. Gros Piton is located in the southern end of Pitons Bay, known to be among the largest peaks in Saint Lucia. Petit Piton is at the middle of Soufriere Bay, north of Gros Piton. Both these twin mountains are a great destination for adventurous and experience seeking travelers. Its photogenic appeal will sure make its way to your digital and analog photo albums. It is a type of site that imprints on your soul, an escape you will never forget and forever crave. Once you find yourself in the Pitons, make sure to refer back to this post! I have conducted a list of accommodations, activities to indulge in and places to eat, so you don’t have to! This list will allow you to make the best of your trip and to experience all that you can. Sit back, grab a cup of tea and get to reading, but more importantly, begin picturing yourself waking up with a beautiful view of Saint Lucia’s Pitons. Finding the right resort is the first step in making sure that you can get the most out of your trip. A comfortable and welcoming living environment will allow you to have a stress free start to your day, every day. For a trip to the Pitons, you need accommodations that will fit the perfect balance between adventure and relaxation. With these resorts listed below, I will outline what each has to offer, allowing you to make the right choice to accommodate your needs! In 2013, Sugar Beach a Viceroy Resort made the tabloid headlines as Matt Damon was reported renting out the resort for $1.2Million! It’s safe to say that this resort provides nothing short of a lavish and luxury experience. The experience has been described as magical and enchanting–escaping to new worlds. It is located among 100 acres of cool tropical rainforest in the coast of St. Lucia. Having one of the most scenic and stunning beaches in the world and being an all-around truly impressive, gorgeous destination. You can begin your day with all-encompassing, deeply relaxing spa time, letting go of that stiff flight journey. Followed by filling your day with activities such as snorkeling or taking advantage of their beautiful fitness center, you can also spend time at the beach, soaking your feet in the white sands. Wandering around the villa will allow you to experience its beautiful decor and aesthetic. Right outside the door, onto the terrace, you get an astoundingly close view of the Petit Piton. Finally, to add to the many perks of this resort, the staff is friendly and welcoming allowing you to truly enjoy your stay at its fullest when you think of the Pitons, you think of Sugar Beach! Recognized as one of Saint Lucia’s most unique resorts, and also the only resort situated on UNESCO World Heritage site, the breathtaking Ladera Resort is definitely a place to consider staying on your travel to the island of St. Lucia. Once you arrive you will without a doubt be stunned by the crystal clear deep blue waters, the lush and thriving greenery and the coexistence of the villas with its environment. The design is intimate and eco-friendly, with just 37 rooms making it perfect for a romantic trip or small group getaway. You will be nestled in a tropical haven, a volcano ridge 1,000 feet above the Caribbean Sea and a charming view of the Pitons. In order to exist in harmony with its environment, the eco-friendly choices in design, including the tropical hardwoods, the stone, and tile, you will feel at one with the nature around you. Their amenities include all-inclusive options and special offers. You will be tasting authentic dishes and indulging in deep relaxing treatments at the spa. The majestic resort, Jade Mountain provides the ultimate harmonious experience between us and nature. They are committed to environmental stewardship and this is very much reflected in their organic architectural choices. The resort rises above a 600-acre beachfront resort in the south-western Caribbean coastline. There are individual bridges incorporated in the design, that lead to a stunning infinity pool, an experience it is worldly known for. Known as St. Lucia’s only resort with all rounded, stunning view of the Petit and Gros Piton mountains; Jade Mountain reflects the full and bountiful beauty of Saint Lucia Pitons! You can also find two beautiful white sand beaches with pristine coral reefs offshore. Jade Mountain has also been recognized as “Best in Class” by American Express Travel for their customer experience, along with their all-inclusive travel bundles. 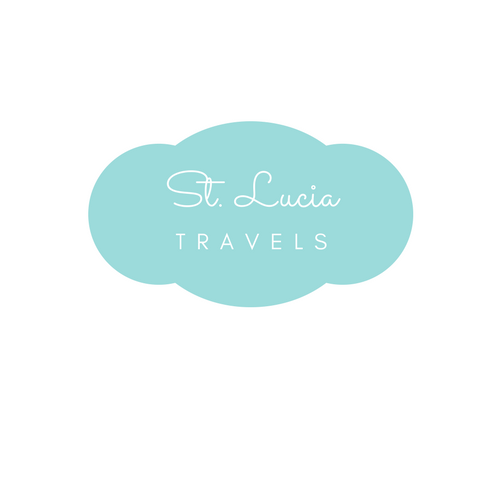 It is absolutely a competitor when it comes to picking where to stay during your trip to St. Lucia! Located in the cozy and bountiful rainforest of Saint Lucia, Stonefield Villa Resort welcomes you to indulge in full tranquility and Caribbean harmony. With its strong roots and traditions on the island, you can experience many perks that will allow for the most authentic experience they can provide. Stonefield Villa promises you an experience where you can “escape, relax and rejuvenate. Accommodations can be made from the airport to the resort and once you step into the resort, you are transported to a lush island getaway. You will be reconnecting with the soul through the thriving greenery and the wellness spa. Accommodations can be made for private, secluded and all-inclusive packages, allowing you to have a restoring experience no matter what your needs. This makes Stonefield ideal for solo travelers as well! You can also enjoy organic, tropical organic farm to table dining at pool or beachside with a gorgeous view no matter where your eyes land. Nestled on a border of two soft sandy beaches inside 600 acres of lush tropical haven, Anse Chastanet Resort has been designed with nature and you in mind! Existing around beautiful greenery, bright colors, the sound of the birds and the swaying of the deep waters. You will find a dozen rooms, hugged behind the coconut palms that line the beach. There are many suites to choose from including extra-large deluxe and premium options, all rooms are built in such beautiful incorporation of the nature around them. It is truly a classic Caribbean resort, going back to the roots of what authenticity looks like. You can experience adventurous activities like snorkeling, or even beachside cocktail serving as you lay gracefully under the perfect Caribbean sun. It is the perfect location for all-inclusive wedding packages, honeymoons or group getaways! When aiming to experience all that the Pitons have to offer, it is very wise to book a tour! This allows you to be guided by local experts who will make sure that you get the very best of your experience. I’ve put together a list of tours that provide you with many things to do in the Pitons. Once you’ve printed or provided a mobile voucher for your ticket, you can enjoy a pickup service (to and from your hotel) which will mark the beginning of your tour. The many perks also include a light lunch and sampling of local fruit. This eight-hour tour allows you to experience the volcanic peaks of Saint Lucia from up close on a full day guided adventure. You are taken through a boat ride where you get to view all angles of the beauty and abundance that will surround you and then stop for a hike at the top of Gros Piton. Make sure to pack plenty of water, some reliable sneakers, and your camera so you can enjoy the memorable trek to the top of the Gros Piton! You’ll be ascending to an elevation of 2,600 feet above sea level, your hike will feature an abundance of scenic beauty such as the Piton waterfalls. If you want to get the most of the Gros Piton, this hiking tour is where to begin your explorations. This trip is designed for a small group, allowing for an intimate and energizing experience. You travel by minibus, where hotel pickup is offered, leading from Castries to Soufriere. On your tour, you cover key sights along the travel, leading you all the way to the Pitons. With this tour, you can to experience multiple angles of the island, with a knowledgeable driver, ready to answer your questions along the way. The eight-hour tour is affordable, includes interesting perks such as a look at the rum distillery and a chance to sample fresh cassava bread. It is a great option for families and small groups, definitely worth considering on your travels! You can expect a full day of adventure with this tour that leads you through a trek along the Gros Piton Nature Trail, at the hands of a local guide. Unlike other hiking tours, with this one, you get the opportunity to not only see the beauty up close but also learn about many things such as the flora and faunas, the wildlife, local and rare birds, all as you go. If you’re feeling adventurous, you can climb to Gros Piton’s summit where you will be rewarded with a panoramic view of the entire island and what lies beyond the deep blue Carribean seas. With this tour, you can expect hotel pickups and drop-offs, and a well rounded day. Bring lots of water with you and you’re ready to explore, it will be a day to remember! The ‘Black Magic’ is a replica of the 16th-century Spanish galleon ship. This tour allows you to cruise around like a pirate on a mission, around the waters of St. Lucia for the day. This tour is like an all-inclusive mini getaway within your larger getaway! You are led by a knowledgeable and trustworthy captain and crew. Spend time off-shore to explore what the quaint town of Soufriere has to offer and then visit the famous Pitons and the Sulphur Springs Volcano. Onboard, you’ll enjoy a buffet-style lunch. Jump in the deep blue waters, or enjoy activities for kids and adults alike! Your journey also includes an open bar and hotel pickup/dropoff. This tour is the most relaxing way to enjoy not only the beauty of the Pitons but the all-encompassing experience of what Soufriere has to offer. At the hands of an informative guide, this tour allows you to experience St. Lucia off the beach. You will pass by villages and a 200-year-old town with a lot of roots and history, eventually leading up to a trek up the Pitons mountains, a stunning view across aquamarine waters will meet your eyes with delight once you arrive at the top. The tour provides buffet style lunch after your hike, at a small beach located at the mouth of the volcano. You also get hotel transportation, bottled water for your journey and souvenir photos available for purchase. You get to start in the early hours of the morning, allowing you to experience a quiet and peaceful time of nature. The hike is moderate and great for beginners; adventure at your reach! Food is an important aspect of your travel whether you are a foodie or not, a good dish warms your heart and imprints on your soul. There are many options for where to eat near the Pitons, particularly in Soufriere. If you want to get the full experience of your trip, it’s great to eat like the locals as much as you can, enjoying dishes unique to the island. Here is a guide to some of the top restaurants near the Piton mountains in St. Lucia. Orlando’s Resturant offers fresh farm to table dining options and it is considered to be one of the top choices for dining in Soufrière & around the Pitons. The menu is constantly changing due to the fresh and inspirational dishes of Chef Orlando Sachell. Nestled at the northern end of Soufriere, you will find yourself in awe of the beautiful courtyard garden, local is at the heart of everything they serve, be sure to make reservations! Martha’s Table is very unique and stands out from its competitors. It is located in Martha’s actual home, providing comforting homestyle meals, using local flavors and a local atmosphere. Located in the west coast of St. Lucia, it has been recognized by TripAdvisor as #2 of 37 places to eat in Soufriere. It is nestled under the Petit Pitons, offering a stunning view! Whether you’re coming for a light lunch before your hike up the Pitons or a hearty dinner to celebrate, you will surely come across a dish that will warm your stomach. Recognized for its decadent dessert menu, Boucan Restaurant and Bar by Hotel Chocolat provides succulent and exclusive cocoa-inspired cuisine and a contemporary atmosphere like no other. Located near a cocoa plantation, you’ll find a hint of the delicious bean in almost every dish sweet and savory alike. For this unique feature, its one of the most popular spot for foodies. They provide breakfast, lunch and dinner menu along with a late night bar from 11 pm; no matter when you feel like going, they will be ready to welcome you! Bamboo Resturant is dedicated to providing local cuisine, playing with ingredients that are grown locally on the estate. You will find many uniques dishes and their menu includes many vegetarian dishes and gluten-free options along with a beautiful dining atmosphere. It rates as 4.5 on TripAdvisor, along with receiving a Certificate of Excellence, it is recognized as many people’s greatest dining experience on the island. Located in Soufriere, the restaurant is encompassed by lush tropical greenery that remains as enchanting during the night time as it does during the day! At Marie’s, you will find yourself lost in the enchanting mysteries of the Diamond botanical gardens surrounding your dining experience. Your taste buds will be warmed by the hearty options with a soul food buffet style Creole cuisine. Awarded with TripAdvisor’s Certificate of Excellence, this restaurant is a must stop for tourists to enjoy the best of the island, enjoying an authentic style dining experience. Thinking about climbing the Pitons or staying around them, I have come up with a list of things that you can do places, you can go and restaurants where you can enjoy the most delicate local foods that your taste buds can handle. Take a look at all of them and feel free to leave a comment as to what you enjoyed on our beautiful island. Hope to hear from you soon!! !